Today we finished this great carved PVC police badge for Basking Ridge PD’s reception area. It would be a crime not to come take a look! 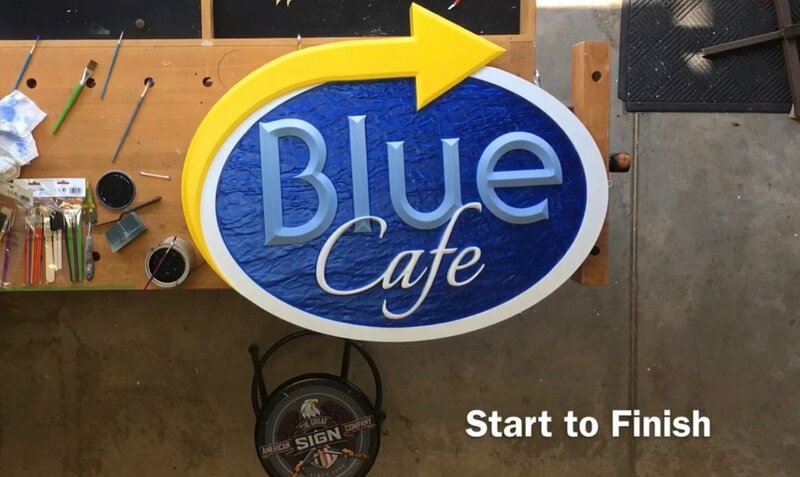 Check out our latest Youtube video featuring the sign we made for Blue Cafe in Basking Ridge NJ. This is the most extensive time lapse video we have made thus far. It documents all the work we did from CNC carving right on through to installation all squeezed into a short 3 minute video at https://www.youtube.com/watch?v=GdYdNpawfbA&t=90s. Making the video was almost as much fun as making the sign, check it out! Just like Santa’s elves, we have been working furiously to finish up carving and painting this project in time for the Christmas services at Community Congregational Church in Short Hills, NJ. Like the other custom carved signs this one features raised prismatic letters and a custom decorative frame over a lightly textured background all carved out of durable PVC. This carved sign was particularly challenging because of how thin it needed to be in or to avoid casting dramatic shadows from the LED lights above.